The Hazro HZ27WiDP uses an 8 Bit +FRC LG-AH-IPS panel with Plasma Deposition Coating, and was reviewed by TFT Central. It performs like the Crossover 27QW DP, but has an 842hz PWM frequency, two year warranty and can be purchased from retailers with hassle free return and exchange policies in the UK. I don't know if the 842hz PWM frequency is high enough to neither ruin motion clarity nor cause eyestrain like lower frequencies do. Discontinued 2011-2012 matte 2560x1440 LG IPS panel. The ZR2740W uses a semi-glossy (grain free matte) coating and an 8 Bit LG S-IPS panel. It lacks an OSD (Menu with color controls), it only has brightness controls and while it does have two inputs, it will only work with an external device (console, blu-ray player, PVR) when connected with a DVI-HDMI adapter/cable if they are set to 1280x720 (720p) first. It does not suffer from overshoot ghosting and has low input lag, but has considerably slower pixel response times (more ghosting=color streaking and smearing) compared to most of the 1440p monitors in this list. The Z27i has excellent color presets, but has a 27ms signal delay and is pretty expensive while offering no advantages over the cheaper AOC Q2770PQU or BenQ BL2710PT. Those with deep pockets should opt for a potentially glow free Eizo EV2736W. The Z27x uses a glow free, matte, 8 Bit +FRC LG AH-IPS panel which does not have a colour compensation feature like the Eizo CX271 and Eizo CG277. The HP can be hardware calibrated by editing an XML file, but to the same degree as the Eizo and NEC which makes them much better choices for colour accuracy related work. The HP is a better choice for multi-media use though, especially gaming since it has lower input lag than the NEC PA272W and less ghosting than the Eizos. Matte IPS with AMD Free-Sync (48-75hz range), 75hz, decent preset color accuracy, Displayport, 1x HDMI 1.4 and 3.5mm audio out. Has high input lag (28ms) unless the Free-Sync mode is enabled in the menu, and suffers from image retention. The XB2779QS is one of the fastest 2560x1440 monitor and has excellent color presets but uses Plasma Deposition Coating like the Crossover 2755AMG which makes the blacks look grayish. [COLOR="#0000FF"]It has a high minimum brightness of 170cdm/2[/COLOR]. =DEAD= measured a 20ms delay. Fake frame-less 8 bit matte 2560x1440 AUO AHVA M270DAN 02.5 panel with a height adjustable stand and 2x USB 3.0. It has excellent preset color accuracy, fast pixel response times with minimal overshoot ghosting, negligible input lag, AMD Free-Sync, and 75hz support (73hz via overclock with Nvidia graphics cards). The Lenovo uses a fake frame-less matte 27" 1440p matte AH-IPS panel with Displayport and HDMI, negligible input lag, fast pixel response times on par with 60hz competitors, and excellent color presets. The Lenovo is not VESA compliant and has a fake frame-less casing with an inner black bezel which reduces the perceived black depth. Discontinued 2014 matte 2560x1440 LG AH-IPS panels. The LG 27MB85R-B uses a standard gamut W-LED back-lit LG AH-IPS LCD panel, has excellent colour presets, good contrast (1000:1), fast pixel response times (Normal overdrive setting) and low input lag unlike the majority of multi-input 1440p monitors. It has a semi-glossy or nearly grain free matte coating. Do not mistake the 27MB85R-B for the wide gamut 27MB85R-Z which can cover the Adobe RGB colour space and is aimed at professionals. Discontinued 2014 matte wide gamut 2560x1440 LG AH-IPS panels. The LG 27MB85Z-B uses a wide gamut, GB-R LED back-lit LG AH-IPS LCD panel, has excellent colour presets, good contrast , fast pixel response times (Normal overdrive setting) and low input lag unlike the majority of multi-input 1440p monitors. It has a semi-glossy or nearly grain free matte coating. This monitor is meant to be used by professionals who work with programs which support colour management and need a monitor capable of covering the Adobe RGB colour space. Discontinued 2014 glossy 2560x1440 LG IPS panel. The MOTV M2700 uses an 8 Bit LG S-IPS panel and only works with PC's. It uses the same panel as the overclock-able Yamakasi Catleap, and can be overclocked up to 120hz. The overclock-able S-IPS panels gamma does not rise when overclocked unlike the PLS panels (Qnix/X-Star) and have faster pixel response times, but suffer from more corner glow than the overclock-able Qnix/X-Star. The NEC EA274WMi uses an 8 bit +FRC semi-glossy AH-IPS panel. It is free from obvious overshoot ghosting when the Response Time Improve setting is set to off and has excellent color presets. The NEC PA272W is a Wide Gamut monitor which can be hardware calibrated and is an excellent choice for professionals who intend to buy the PA272W plus Spectraview Kit bundle and calibrate the monitor. Discontinued 2013-2015 overclock-able glossy 2560x1440 LG AH-IPS panel. The Overlord Tempest X27OC uses a glossy 8 Bit LG S-IPS panel like the MOTV M2700 and Yamakasi Catleap, performs the same, and can be overclocked up to 120hz. The single input 1440p Korean S-IPS panels all suffer from an obvious preset green tint, green over-saturation after calibration, lack menus with color controls and only work with PC's when connected with a Dual-Link DVI cable. The Philips uses a fake frame-less (all frame-less monitors have perceived black depth ruining inner black bezels) matte 27" 2560x1440 LG IPS panel with a height adjustable stand, built in web camera, 3x USB ports, HDMI, Displayport in, Displayport out for daisy chaining, VGA and 3.5mm audio in and out. Its color presets are very accurate, it has fast pixel response times, can be considered delay free, but has average contrast of around 800:1. The Philips uses a fake frame-less (all frame-less monitors have perceived black depth ruining inner black bezels) matte 27" 2560x1440 LG IPS panel with a height adjustable stand, USB-C, 2x USB 3.0, 1100:1 contrast, accurate color presets, negligible input lag and excellent overdrive when the Faster Smart Response setting is used. Discontinued 2013-2014 2560x1440 Samsung PLS panels which either came with 120-160 LED PWM Dimming or no PWM. Review by NCX of the original version without LED PWM Dimming or Flicker. Video Review by NCX of the 2014 version with a different inferior panel and LED PWM Dimming or Flicker. It's the same as the QX2710R, but has a nice brushed dark matte grey bezel which vastly increases the perceived black depth while the QX2710R uses a glossy black bezel which ruins the perceived black depth, but has more inputs and costs more. I recommend buying the Multi Hot over the others since I have tested it. It can be overclocked to 87hz via Dual-Link DVI without skipping or dropping frames. The updated DP Multi True 10 is much better than the original since it is actually PWM/Flicker free, has double the contrast, faster and actually competitive pixel response times, and more accurate colour presets. It is one of the best budget, multi-input matte 1440p options, but the slightly more expensive Asus PB278Q/PB278QR is better. The QX2710R has faster pixel response times (less ghosting) and higher contrast than the QHD2730R, but the QHD2730R uses a PLS panel with less glow. The QHD2730R is similar to the QX2710R, but uses a PLS panel. It's a great budget multi-input matte choice, but the slightly more expensive Asus PB278Q/PB278QR is better. Discontinued 2011-2012 matte 2560x1440 Samsung PLS panel. 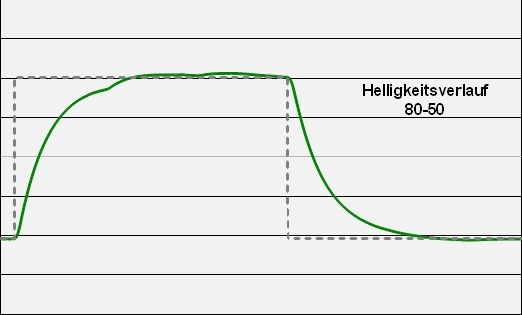 It suffers from more overshoot ghosting when using the Faster Response Time setting compared than the BenQ BL2710PT, Crossover 2720MDP, Crossover 2755AMG, Eizo EV2736W, Viewsonic VP2770 and Qnix QX2710 and the pixel response times are either comparable or slower when using the overshoot free Normal Response Time setting. Samsung fixed the color presets (most reviews are of 850D's made in 2011) according to =DEAD='s Review, which makes it one of the best, however it is usually overpriced. 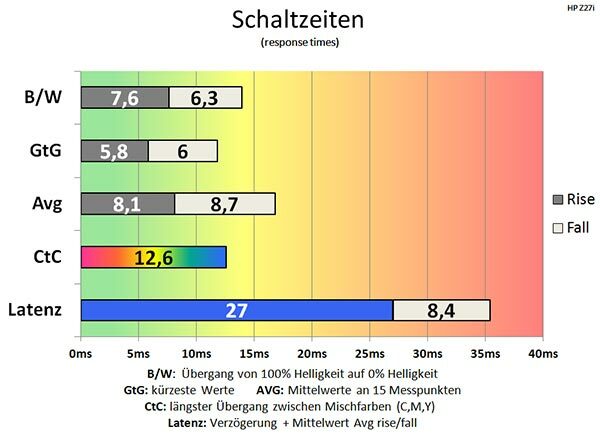 PRAD measured 13.6ms signal delay plus the pixel response times vs. 25ms by other reviewers. Discontinued 2014 matte 2560x1440 Samsung PLS panel. The S27D850T has the most accurate (best) color presets out of all of the 27" AHVA/IPS/PLS monitors I reviewed, but is only LED PWM Dimming/Flicker free down to 30% Brightness (172cdm/2) and the black+silver matte bezel ruins the perceived black depth and makes black look uneven. Black looks much darker near the bottom of the display compared to the silver bezel, and much lighter from the top to about 30% from the bottom as well as light compared to the matte black bezel. The Samsung S27H850QFI uses LED PWM Dimming or Flicker (very low 240-250hz) when the brightness is set below 36 (0-35; 36 Brightness in the menu is around 220cdm/2 which is vert bright), has a high minimum brightness (105cdm/2 vs <80 for many competitors) but has good preset color accuracy and is fully adjustable. Matte 8 bit 27" 2560x1440 75hz Samsung PLS panel with AMD Free-Sync and outstanding preset color accuracy. Discontinued 2012 matte 2560x1440 Samsung PLS panel. The VP2770 one of the fastest 2560x1440 along with the BenQ BL2710PT. The Advanced (Medium) setting doesn't overshoot and the pixel response times remain pretty much the same. PRAD only tested the Standard (lowest) and Ultra settings but I compared settings both extensively. 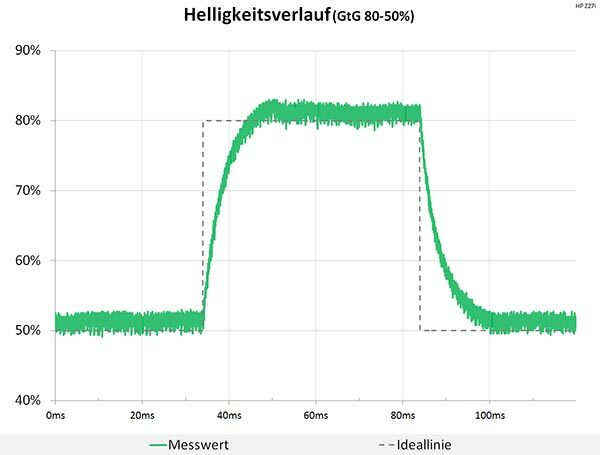 PRAD measured a 7.2ms signal delay with an oscilloscope, I measured 20ms with the SMT Tool and Leo Bodnar device in 2017 (tested a 2012 panel) while =DEAD= and TFT Central measured 26ms. Discontinued wide gamut IPS from 2013. The Viewsonic uses a fake frame-less (all frame-less monitors have perceived black depth ruining inner black bezels) matte 27" 2560x1440 LG IPS panel with a non-height adjustable stand, but it is VESA compliant. It has Displayport, HDMI, Mini Displayport, a 3.5mm audio output, outstanding color preset accuracy and above average contrast (950:1 measured by PRAD). The Viewsonic XG2703-GS uses a 27" 2560x1440 resolution 8 Bit AUO AHVA panel (M270DAN02.3), a nearly grain free matte coating, has excellent color presets, a nice dark matte black bezel which increases the perceived black depth, very fast pixel response times and a 165hz refresh rate. G-Sync (compatible Nvidia GPU required) works from 30-165hz/FPS, and eliminates screen tearing and lag. The Viewsonic XG2703-GS also has ULMB (back-light strobing, excellent 1080p scaling unlike the Asus PG279Q, and superior 60hz overdrive with less overshoot ghosting than the Acer XB271HU. The Viewsonic XG2703 is the best all around 27" 1440p AHVA 144-165hz monitor with Nvidia G-Sync for PC and console gaming, and watching 1080p content. Discontinued 2013 2560x1440 Samsung PLS panel. It's the same as the Qnix QX2710 which along with X-Star is part of the same company.